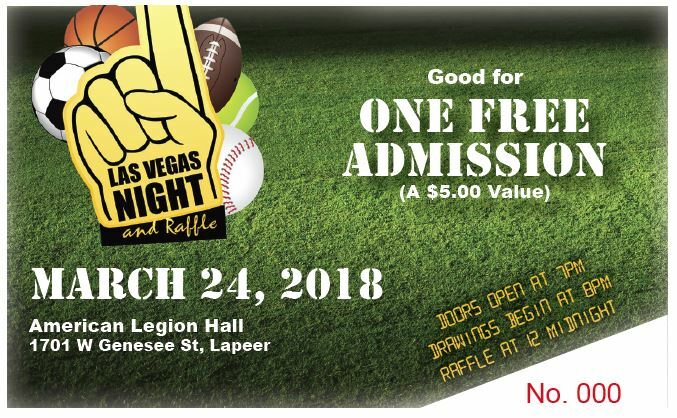 Purchase up to 4 tickets to the 2018 Optimist Vegas Night & Raffle below. Or tickets can be picked up at Will Call on the night of the event. Picture I.D. of purchaser required. Must be 18 years of age or older. All proceeds to benefit Lapeer area youth programs. Thank you for your support!